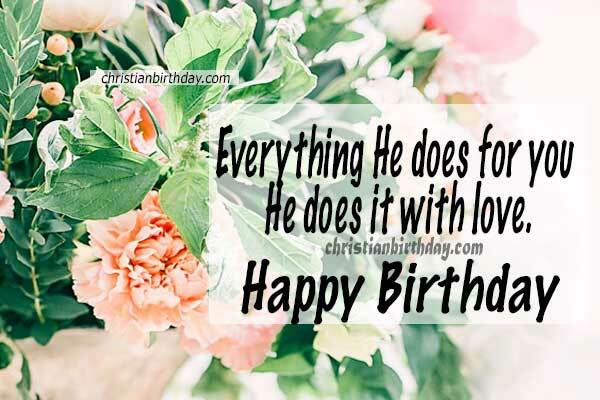 Beautiful Christian birthday phrases for a friend with a beautiful psalm. Christian message on birthday with Psalm 145. 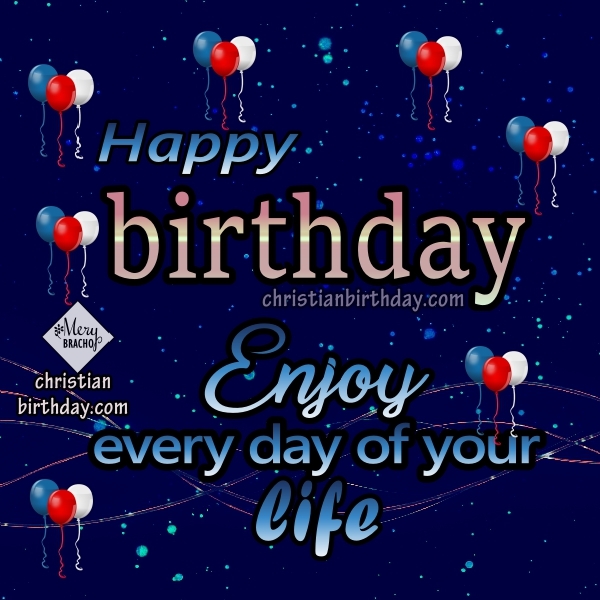 Friend, God bless you on your birthday. Today I want to give you this great special promises for your life of Psalm 145. God's promise on your birthday 1. God will fulfill what he promised you. God will fulfill what he promises you, he is always faithful, with his love blesses you and will be with you. You always have the option of calling God, come closer with your sincere heart and let His love take care of your situations. Promise of God on your birthday 2. God is faithful and will be faithful to you in this new Year of life. Friend, you can rest in the promise of God who is always faithful. The future that you have ahead is protected because the Lord goes with you. God will bless you. Let's celebrate these blessings you will have. Christian verses for your birthday. Psalm 145. Look at these beautiful words of this Psalm 145, it is beautiful and with this I wish you a happy birthday, friend. and you are near to everyone whose prayers are sincere. and you come to save them when they ask for help. God's promise on your birthday 3. Everything that God does for you does it with love. Friend, look how much the Lord loves you, everything he does for you He does it with love. Looking back on the years before your birthday, look at how many things God has done for you where you have experienced his great love. The love of God will be with you in this new year of life. His love is showed every day with his mercies that are new every morning. God's promise on your birthday 4. God hears you when you call him. Friend, thank God who hears you when you call it, this is a great truth that will be important to you to develop well in this new birthday. You have 365 days to call the Lord and trust in God that he will answer you. Promise of God on your birthday 5. God will take care of you and fulfill all your needs. God, as your heavenly Father, will be aware of all your needs, will protect you and take care of you. Happy birthday. Hugs and kisses. 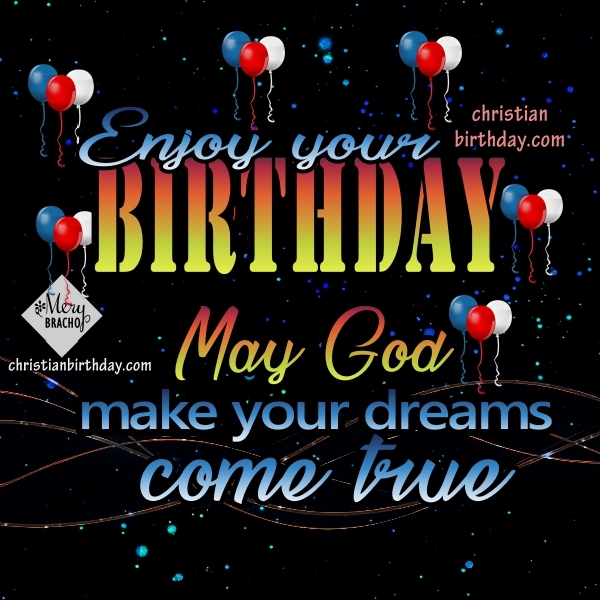 Happy Birthday messages for friends, Christian phrases to celebrate my friend's birthday, image card by Mery Bracho.